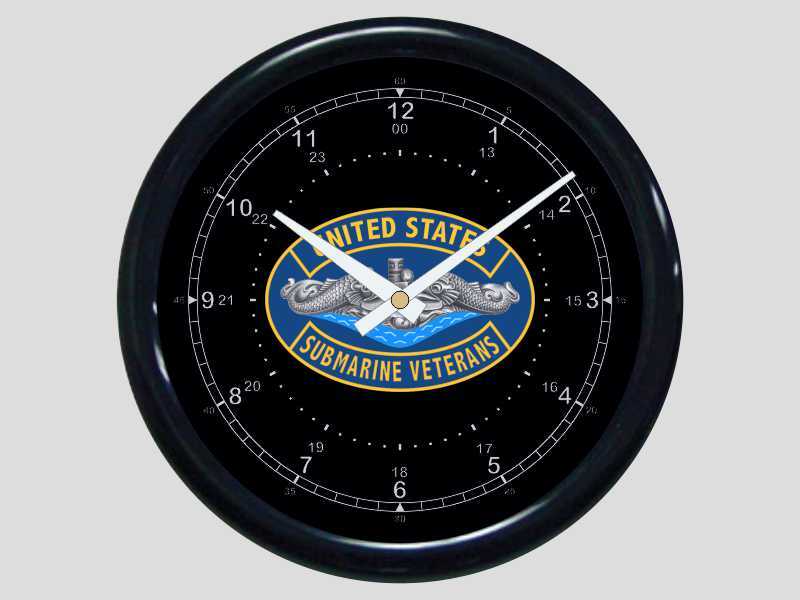 With a clock face designed to replicate the original Navy Chelsea submarine clock, these wall clocks are sure to bring back memories known to all submariners. The USSVI insignia wall clock is not the typical scan of a patch. We have taken the original graphic and completely re-drawn the insignia from scratch. Careful attention has been taken to accurately create this new exclusive artwork in brilliant color at the highest quality possible. These handsome submarine wall clocks measure 10" diameter and are 1.00" thick. Standard two-hand clockworks are installed with a clear bezel sealing the clock from dust. Requires one AA battery which is not included. Each clock is made to order in Cumberland, Maryland and are a fine addition to any collection.